Invite guests to your next 4th of July soiree with a patriotic themed invitation! 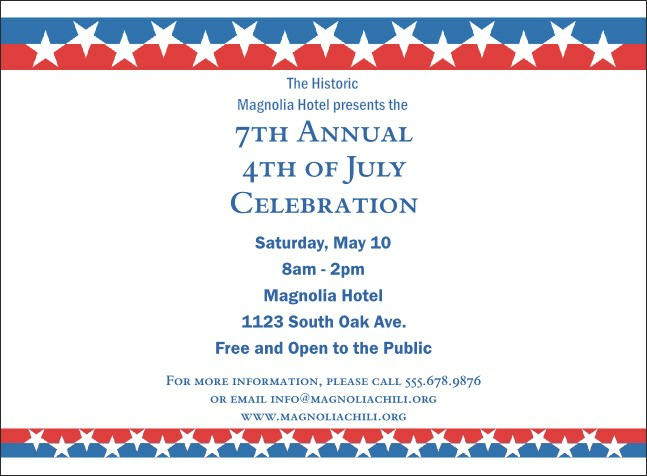 Featuring a stars and stripes background , this invitation template is great for political and 4th of July events. Next time you have a rodeo, barbecue, or picnic to plan, let TicketPrinting.com take care of the publicity for you! Set off the fireworks and let TicketPrinting.com take care of the rest of your event needs!